After 80-days in the wilderness and with the world’s pandemic attention more focussed on the Middle East the H7N9 virus has popped up again. When H7N9 was daily news the eye of the storm was concentrated on the provinces of Zhejiang and Jiangsu and the municipality of Shanghai. As the daily case numbers declined after April the movement of the virus seemed to deploy outward at a snail’s pace. In fact the previous four case onsets to this one were Jiangxi (East China), Beijing (North China), Hebei (North China) and in Huizhou, Guangdong (South Central China) barely a 100-kilometres from Hong Kong. After two cases were reported in the middle of summer H7N9 has backtracked returning to more familiar hunting grounds in Zhejiang half-way through the northern hemisphere autumn striking down a relatively young man, aged just 35 (according to my data the average age prior to this case was 57). 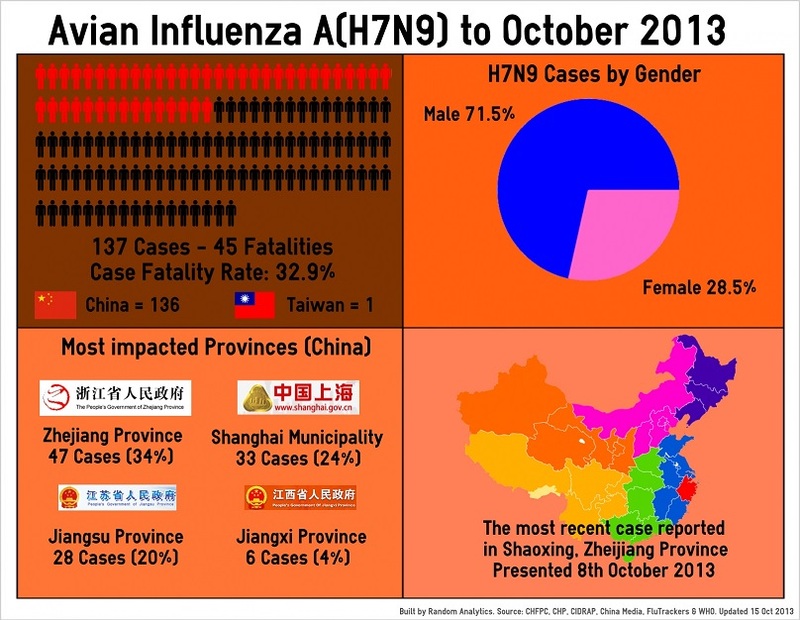 Cause like all good mysteries just as we think H7N9 is gone, it pops up again. As my calendar permits I’ll keep the infographic updated as new information comes to hand through the autumn months. 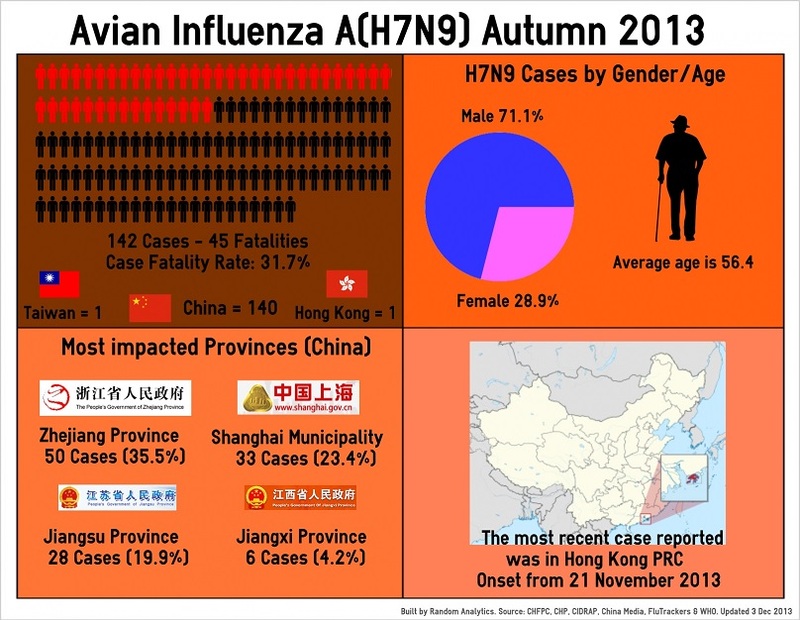 Here is a look at the first infographic I produced with the 137th case presenting in Zhejiang on the 8th October 2013.